Mountain Resort Summit Central Europe MoReSCE will be organised at MONA hotel at the mountain resort Zlatibor. Knowledge exchange sessions as well as B2B meetings will be organised at MONA hotel. 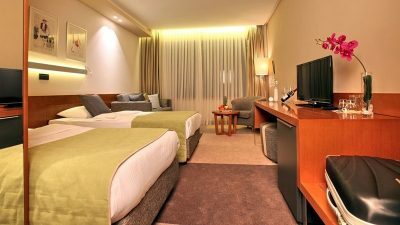 Delegates can use single and double occupancy rooms. In addition hotel provides high end spa and wellness. Hotel Zlatibor Mona is surrounded by beautiful pine trees, located in the very center of Zlatibor. The hotel interior is carefully selected and designed to present the guests with a complete mountain experience during all seasons through a combination of traditional and modern elements, wooden paneling and the finest fabrics in warm tones. Hotel Zlatibor Mona offers 120 spacious and warm rooms and suites, equipped with all modern amenities necessary for a complete vacation and relaxation, including a bathroom, TV, cable TV with over 40 channels, safe, mini bar, blow dryer, telephone, and free internet connection. 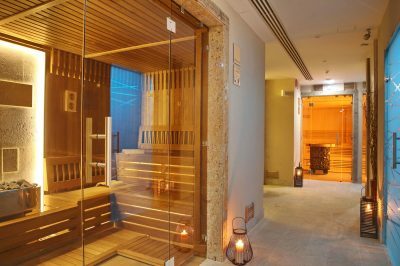 Hotel offers a fully equipped wellness center, which is available to all guests during their stay. The wellness center includes a room with saunas and a steam bath, swimming pool and hot tubs for relaxation, fitness center and special rooms for massages and treatments. 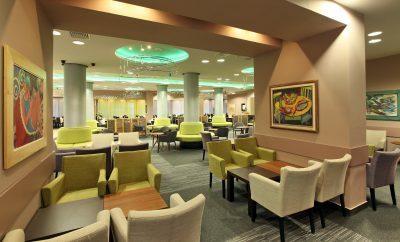 The Koledo Congress Center with its 500 seats over 500 m2 is located near the main entrance to the hotel, and it is connected to the hotel lobby bar and restaurant. If necessary, this multifunctional room can be divided into 2 or 3 independent units, which can be designed according to the needs of all types of events.